Reached home just shy of midnight. It’s a pity we reached home so late because I would have loved to bundle Saitaomei home. I miss her so much!! Coming to fetch you soon bubba. Lunch was at Mekong again, my father in law really wanted to try the pho there after R’s recommendation. He was also sucked in by their tagline ‘Bill Clinton had two bowls, how many can you have?’ I don’t think it’s true that Clinton ate there, but it’s true that lots of hk celebrities did. After that my mil and sil went shopping while I made a coffee run at Sensory Lab which was located on the first floor of David Jones. Not as good as Market Lane but still great coffee! I was satisfied 😊. I didn’t tick off most of my coffee hit list but I’m glad I had two fantastic ones that really hit the spot. Early dinner at Tim Ho Wan, I’ve had THW before in Singapore but it was the first time for R’s family. They loved the dimsum! Sil’s favourite was the baked BBQ pork bun. 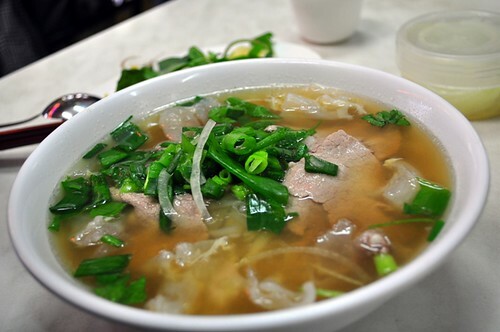 The loh bak gou was very smooth and soft but could still hold its shape. I enjoyed the 桂花糕 which was refreshing and pleasant. Then it was time to say goodbye and head off to the airport. We thought Saitaoha would sleep during the flight like last time but she stayed awake the entire flight 😳. Luckily she was in a cheery mood most of the time, she ate her snacks, watched Peppa pig, shared our in flight meals (which were surprisingly tasty) and had lots of fun. It was great that she enjoyed her holiday so much, I think apart from the loss of Xiu Xiu, R and I enjoyed the brief holiday a lot more because we got to experience simple pleasures through the lens of our child. Good morning Melbourne! Last full day in Melbourne, we are flying out tomorrow 😭. I do like Melbourne a lot and didn’t do justice to this beautiful city this trip. Ahh well, maybe when the kids are older. Headed to the Docklands for factory outlet shopping. My zilch shopping record still maintains but at least R bought stuff. My sister in law and mil were going strong, they’ve been buying stuff everyday. I can’t believe I haven’t purchased anything, sigh. I didn’t even have a coffee today! oh wait! Does this count? These Red Rock Deli nuts are the bomb and were on sale. I snapped up so many but they’re mostly for my mil and sil . I always bought some for mg parents do they can give them to their friends as souvenirs. So cute, Saitaoha made a friend at the shopping centre. It was love st first sight, both kids clasped each other’s hands and said hi! Hi! Then they held hands in the store with the bigger girl explaining to Saitaoha ‘This is a top! These are bags!’ Saitaoha repeated solemnly after her ‘top! Bag!’ Soo cute. They hugged each other when we left and kept waving goodbye. This strawberry reminds me of a totoro. They were bought from Queen Victoria market, very sweet and big. Can you spot the little girl stuffing herself with strawberries in the background? She ate so many! The adults had oysters for supper, I also had my first glass of wine after errr two years? Or three? It was very enjoyable but I was happy to stick to one glass. R says he had enjoyed this trip and found it relaxing. We bought agreed that losing Xiu Xiu was a real downer for us though, it felt like the mood never lifted since then, sigh. No coffee today but I did do a mask hehe. I’m looking forward to the end of the holiday, I’ve been away from Saitaomei way too long. I miss her so much ! 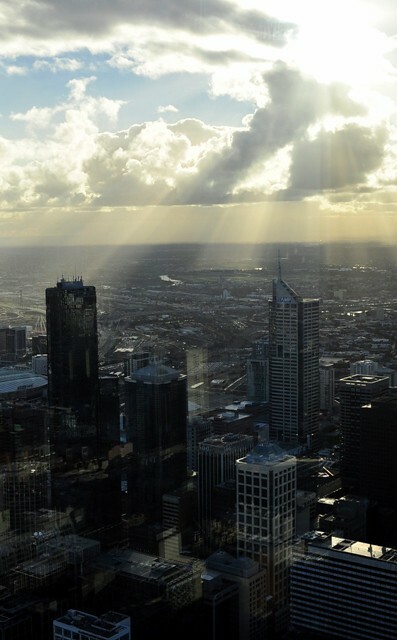 Melbourne from the 48th floor. Saitaoha was looking all emo nemo in her black dress. But actually she was in a good mood all day despite having a bad night. I think she’s not used to the bed, she was tossing and turning and kicking me all night. Here she is playing with my mil, she has warmed up to them but will only allow R and I to carry her. 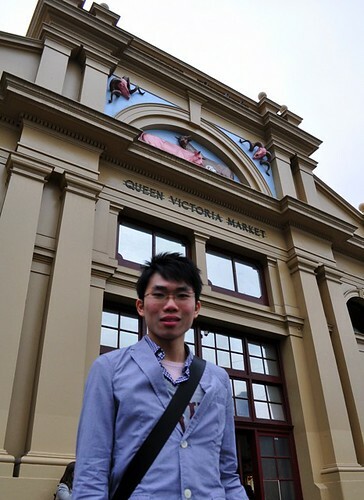 Queen Victoria Market, a must go destination in Melbourne. I wish I had more time (and kid less) to explore. But at least I stopped for a very good coffee from Market Lane Coffee! Highly recommended by my Melbourne barista cousin. I love their coffee cup ❤️. It was a lovely coffee too, smooth and creamy. Haha bad photo of Saitaoha who just woke up from a long afternoon nap. It was good that she had a long nap because we headed out to Chinatown for dinner with my in-laws’ friends. The dinner lasted 2-3 hours but Saitaoha was very good throughout. She ate some dinner (even though I fed her before going out), nibbled on lots of snacks and nuts, checked out the fish in the tanks and was generally cheerful and happy throughout dinner. I didn’t take pictures of dinner but it was at Shark Fin Inn and the food was good! We had the seasonal 冬瓜盅, some pickled duck salad, Peking duck, drunken chicken, tofu, and it was all delicious. 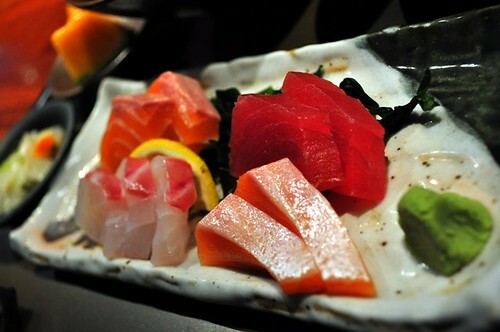 I wouldn’t mind going back again to try their other dishes. Oh dear I think I’m too lazy to do a mask tonight, I shall mask twice tomorrow to make up for it haha. I hope to buy something tomorrow, I haven’t shopped at all and I have hardly any days left! It wasn’t a very good day today. We had a late start to the morning because we all slept in. The plan was to head out into the city for some shopping before meeting my in laws who were arriving around noon. Maybe it was because we were rushing to meet them, I was a bit flustered and not paying attention to Saitaoha. When we reached the hotel she suddenly gasped ‘Xiu Xiu!’ To our dismay, we realised she dropped her beloved rabbit doudou somewhere (we suspect the tram). I knew this was bound to happen because she insists on bringing Xiu Xiu out with her everywhere. Usually she has a tight grip on it and when she drops it she will yell at us to pick it up. But maybe because we were rushing and she was tired and due a nap, she didn’t even realise she dropped it till we were off the tram. Poor child was crying and asking for her Xiu Xiu in the room. She didn’t fuss for long because I think she knew she dropped it and it was gone forever. I will always remember that shellshocked look on her face when she gasped Xiu Xiu 😭. To be honest I was heartbroken myself 💔. This doudou had accompanied her since she was a newborn and was a gift from yee yee. Saitaoha has different toys that she fancies during various periods, but her one and only constant favourite has been Xiu Xiu. Even R was affected, when we returned to the hotel, he suddenly grabbed the hotel key and said he was going to jump on the tram to see whether he could spot it. I think he also retraced our route in the city. I stayed in the room with Saitaoha who had cried herself to sleep. I wanted to tell R that it was hopeless and not to bother. But I let him do it because I knew we felt helpless at that moment and just wanted to do something, anything, to retrieve this precious bunny that is so loved by our daughter. I myself spent the afternoon trying to search online to buy the same doudou, I also called the tram network to report the loss. Who knows? Maybe some kind soul picked it up and returned it to the lost and found? Because of the bunny drama we had a very late lunch of a beef burrito bowl. Saitaoha ate all the corn and some rice. Father in law finally convinced Saitaoha to let him hold her hand. but it was all through bribery! See her hand in the bag of chocolates? She discovered the Lindt factory outlet, its her favourite store 😅. Heading to Chinatown for dinner and we saw this row of police horses. Turns out they were preparing for a peaceful protest that was about to happen. Roast duck for dinner, it was ok. 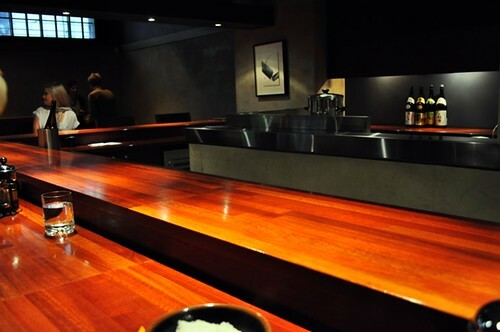 I kinda knew dinner wouldn’t be fantastic because the restaurant was almost empty when we stepped in. This was when I realised that this trip is about R being with his family, and that I should forego all plans of foodie restaurants, hipster cafes and coffee joints. I don’t feel too bad about it (since I didn’t have time to plan anyway) but I am a bit sad that I didn’t get to have a nice coffee today. Boh pien, had to break open my ice coffee, it was quite nice! No coffee so I indulged in a soft serve cone. This was during my quick getaway at night to the supermarket. I think that will be my only me time everyday. Better than nothing, I’ll take it! Cold is it Saitaoha? That’s what happens when you refuse to wear jackets and coats! This kid ah, so stubborn, we’re having to force her into her jackets and coats. I foresee lots of trouble this winter😅. Tonight’s mask. Hopefully tomorrow it will be a better day! Saitaoha and papa at Perth domestic airport at 4am 😅. Despite the early hours, Saitaoha was ecstatic to be at the airport. She kept pointing at the runway in delight and gasping ‘mummy!! Aeroplanes!’ I asked her whether she wanted to sit on the aeroplane. She nodded solemnly ‘yes please’. When it was finally time to board she shouted ‘hooray!’ much to the amusement of our fellow passengers. It was actually really heartwarming to witness her excitement and delight, may her love for aeroplanes and flights never abate. We had a pleasant flight , Saitaoha slept through most of it and munched her snacks happily during her awake time. We were able to get an early check in to the hotel and were pleasantly surprised to see the room equipped with a kitchenette. I brought my handy little steamer with me, planning to steam little meals like fish and veg for Saitaoha. Turns out I could have left it at home. She had lots of fun exploring the room. Her favourite toy was the telephone, kept picking it up and having fake conversations with everyone! She called the doctor, gung gung, mah mah, yee yee! We unplugged the phone because we were afraid she would accidentally call someone 😅. We were all pretty tired from the lac of sleep, so didn’t venture far away. There was a factory outlet just two streets away so we headed there for some shopping. R managed to score a nice shirt at a bargain, not bad! Saitaoha found the car of her dreams, an aiji truck 😍. We had to drag her away but I might bring her back tomorrow if we have time. By then she was visibly tired and almost walking into walls so we headed back to the hotel. After a shower, I left father and daughter to grab some supplies from the supermarket opposite our hotel. Couldn’t resist stopping for my must have holiday drink of Starbucks’s matcha latte. But really I wanted to get this gorgeous Sakura tumbler for my sister. I wanted to get this Sakura themed set for her the last time I was in Singapore but I couldn’t find them at the outlets I visited. So happy to find it here. They were handing out free iced coffee drinks at the station, so kiasu Aunty grabbed four 😅. Went back to the hotel to find father and daughter out like a light! So I had time for my first facial mask of the holiday hehe. in Chinatown! 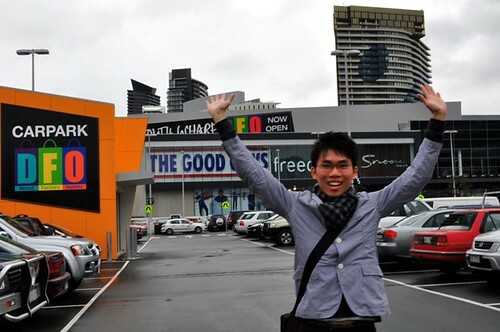 To be honest I really enjoyed the walk and checking out lively Melbourne’s night scene. There were so many buzzing laneways lined with restaurants filled to the brim with the Friday night crowd. Live performers sang and played on the streets. This really brought me back to the old days when R and I used to explore the night scene during our holidays in Bangkok, Hong Kong, Bali… If it was just two of us, I’m sure we would have hopped into one of those restaurants and cracked open a bottle of wine. Tonight we felt so out of place with a pram and an increasingly cranky toddler. Somehow or other, we ended up at the Vietnamese restaurant that R and I ate at and loved many years ago when we visited Melbourne. I had a mixed beef pho and R had Da Bin Lo which had a mixture of yummy innards. 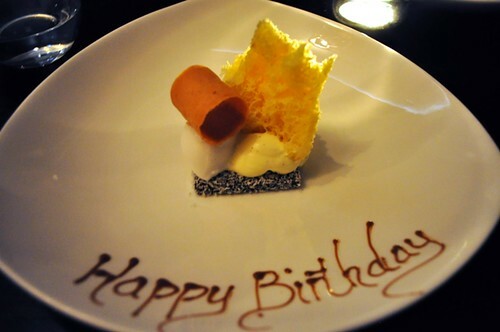 It was still very delicious but I couldn’t enjoy it because Saitaoha was very upset. In the end I wheeled her out and tried to calm her down outside while R scoffed down his pho. Then it was his turn with Saitaoha and boy did I gulp down my pho in record time. 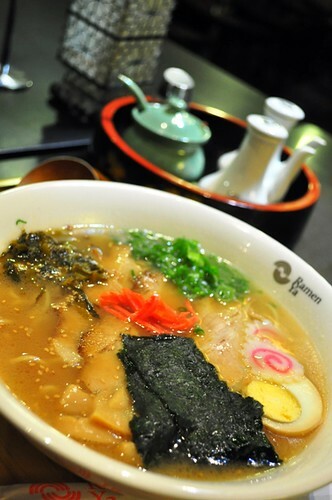 Even in my haste, I could discern that the broth was very good and the condiments were all well cooked and very tender. I couldn’t sit there and eat while the baby was wailing outside so I left in a hurry. R and I then sped back to the hotel which was quite a distance away, my foot started hurting and I was limping towards the end of it. There was this dreamlike quality to the end of the night, us rushing through the streets with a wailing kid in her stroller, passing by happy TGIF folk just starting their party night. We finally reached the hotel, gave Saitaoha her milk and cookies and she was all happy again. 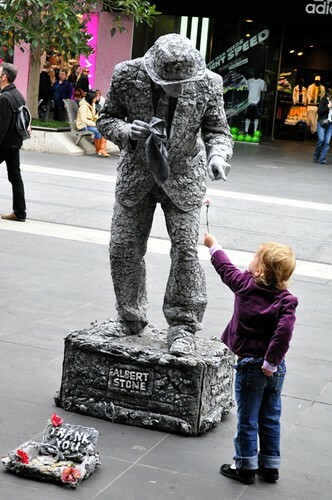 A happy and eventful first day in Melbourne. Looking forward to tomorrow already ! We’re flying out to Melbourne tomorrow morning for a short holiday. We will be meeting my in laws and sister in law there so R is very happy. Poor guy hasn’t seen his family or been for a holiday for a long time. We’re bringing Saitaoha but Saitaomei is staying home with Gung Gung and Mah Mah. I know it’s just a few days but I’m really going to miss my munchkin. She’s at the gorgeous age with her sweet smiles and happy chuckles. R and I keep smothering her with kisses and cuddles, oh I will miss this baby stage when it’s over. I still don’t know whether I should go back to Singapore/kuching with my parents. I really want to because I feel like I won’t get the opportunity to return home for such a long time in the future. But I’m almost 80% sure I won’t be going because my parents could really do with a break plus I should really save money. Sigh 😔 I hate being an adult sometimes. Ok back to happier things, I am looking forward to this trip mostly because I think R will have a great time and hopefully Saitaoha will too. For myself, I’m hoping that I will get some me time (but I know that’s unlikely because Saitaoha can be a handful and is especially clingy with me). I have a few simple goals for this trip, to do a facial mask every night and to indulge in a lovely Melbourne coffee everyday. Not too much to ask for right? It started with a late night flight out to Melbourne. A stolen snapshot from the runway. 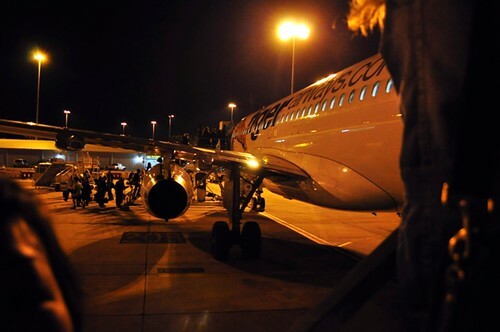 Tiger Airways btw, is terrible for domestic flights. I still slept most of the way to Melbourne, I was that tired. 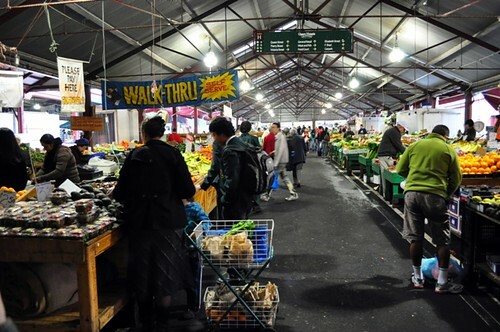 First morning was all about Queen Victoria market which was located right opposite our hotel. Loved the market, it was huge, had rows and rows of butcher shops displaying their fresh meat beautifully, cheese and dairy products, pastries, fruit and veggie stalls, everything, it was a feast for the eyes and lover of fresh produce. The rest of the morning was spent discovering city streets and hunting for our hidden Japanese restaurant Yu-u. Like entering into Aladdin’s cave, the very bare door led the way to the secret basement below which wowed us with their posh and dim interior. The lunch bento itself wasn’t bad at all. Mingling amongst the business crowd swirling their wine glasses, I felt like an imposter watching a show. A very quick power nap and it was dressing up for R’s birthday dinner at Maze, Gordon Ramsay’s new restaurant located in Crown Metropol. Dinner was exciting, impressive and fun. 2nd day started with exploring Chinatown and eating yummy ramen for breakfast and lunch! Watching street performances in the city. 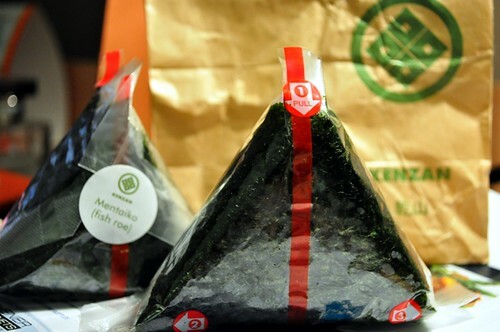 Melbourne is great because they have MENTAIKO onigiri!!!!!!!!! 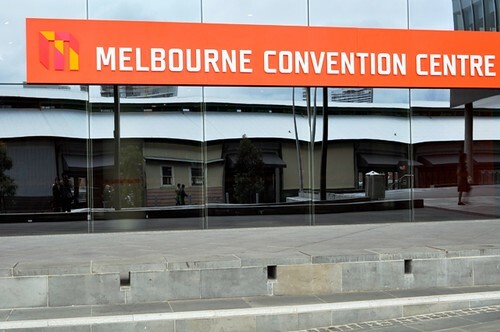 Spot the couple exploring the Melbourne Convention center. We finally find the DFO (Direct Factory Outlet)! 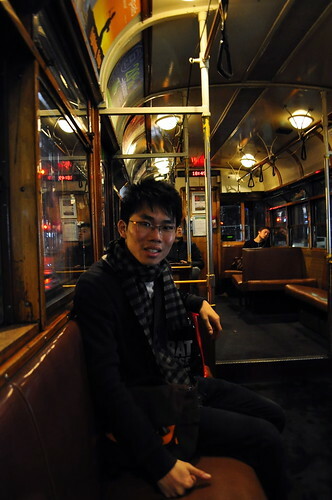 We love the free City Circle trams. 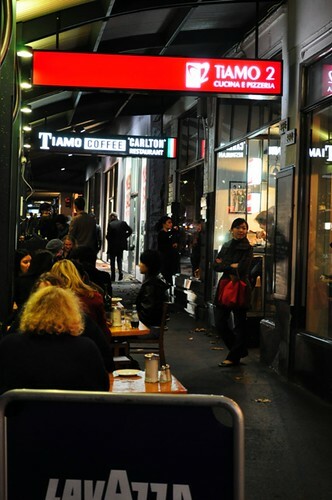 Late night dinner along Lygon Street, Melbourne’s famous Italian restaurant strip. I loved the lively atmosphere of the street and the city in general after dark. It is warm and alive, unlike the dead city of Perth after 5pm. We need extended trading hours, really. 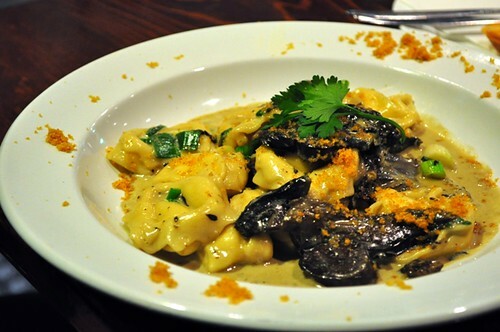 Gorgeous tortellini tartufo at Tiamo 2, the soft tortellini was filled with fresh ricotta in a gorgeous creamy mushroom and truffle sauce, it was lovely. 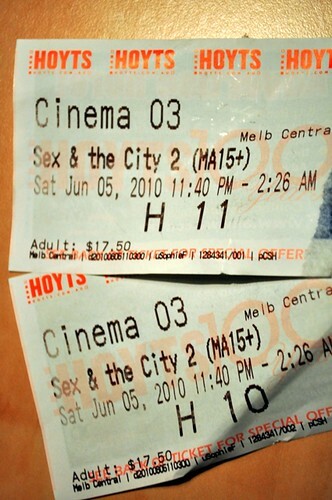 A cold and rainy stroll to Melbourne Central for a late night movie. Day 3 was luscious and tasty raw beef and beef tendon pho at Mekong along Swanston Street. 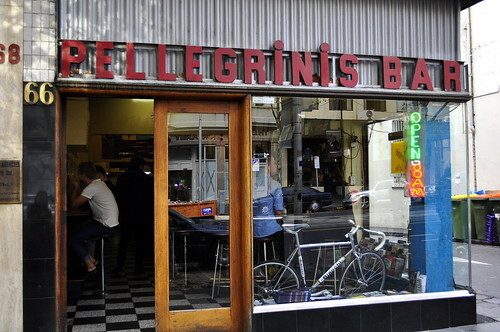 Drinking in the city sights and stopping by the Melbourne institution Pelligrini’s bar. 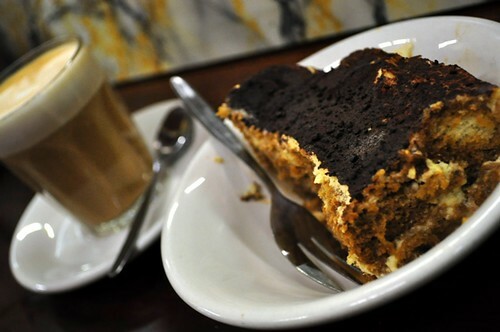 I wish I had space for their very rustic looking spaghetti bolognese but had to settle for coffee and a slice of tiramisu. 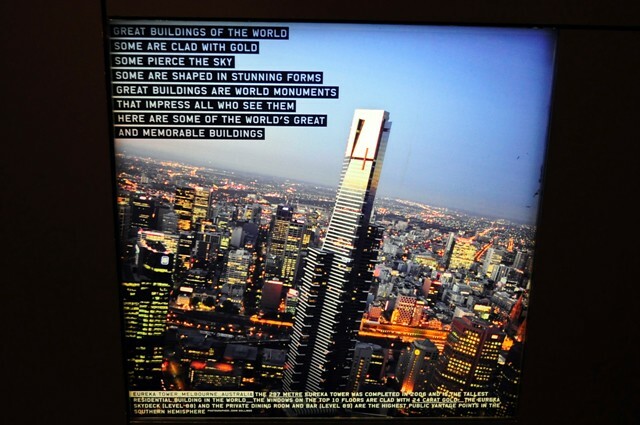 The trip wouldn’t have been complete without a visit to the Eureka Tower for a 360 degrees view of Melbourne. 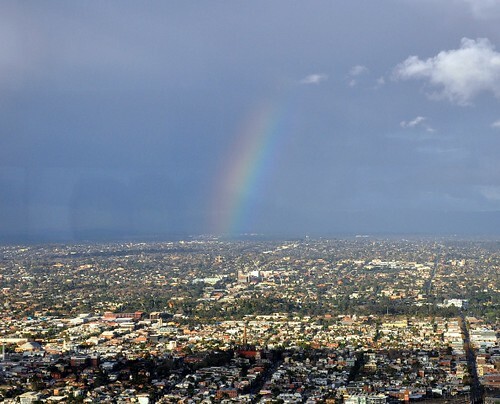 View of Melbourne from the 88th floor. Suddenly the sky cleared up and a rainbow appeared! It was goodbye Melbourne but not complete without a sushi takeaway for dinner. 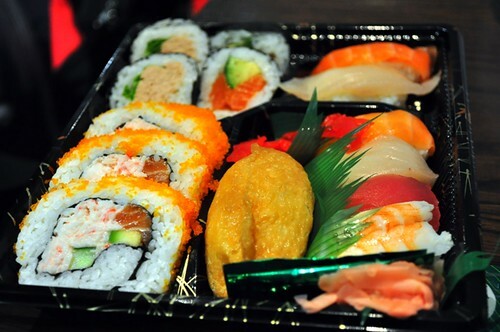 We spotted so many sushi takeaways throughout the trip, we had to end with a box for dinner. 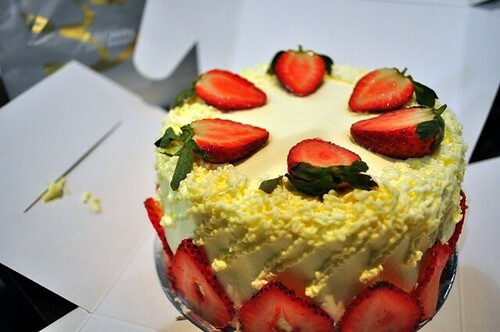 R bought an entire Strawberry Gateau cake for our farewell dessert! And he ate it all too (^__^). There was something really special and fun about huddling behind the Hudsons (their coffee chain store in Melbourne) cafe in the airport and eating a cake out of the box with plastic forks. Arrival at Perth was a bit of a drama when Gerry’s car broke down and there was a spot of car pushing at 2.30am in the morning. I must say the traffic warden at the airport really enjoyed himself. 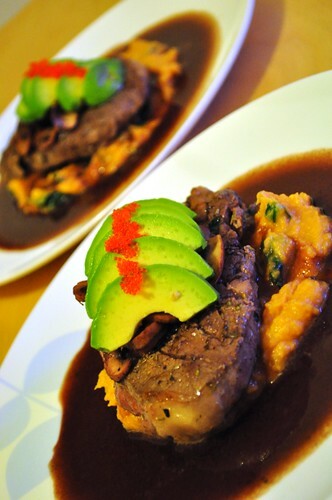 Monday was spent sleeping and sleeping with a homecooked steak and mash dinner. Melbourne was an eye opener, really fun and lovely, but being home ain’t so bad too.